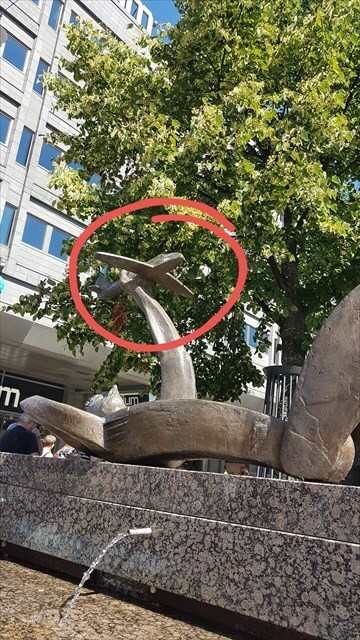 Bring your personal UFO, which in your opinion 'is able to fly', with you to the given coordinates, TAKE A PHOTO that shows your UFO together with the plane at the given coordinates and post the photo with your log. E.g. if you deep inside yourself feel the soul and the spirit of a pirate, why not bring your stuffed parrot with you (can the 'Black Pearl' fly? :-). Summer worker at the CIA? - What about a drone then? Love 'Star Wars'? COOL! - I'd say time for finally bringing the Millennium Falcon into Geo-world. ...got the picture?! Great! The sky and your imagination are your only limits here! Niin heleppo, että otathan jonkun sun mielestäs "lentävän" pömpelin mukaan, otat siitä kuvan paikan päällä ja liität sen löytölokiisi. Sen pituinen se. P.S. : If you feel like a Superhero today, it's enough you show up in the photo with your cool suit on. Please don't fly around scaring innocent muggles. Thanks man for understanding! Appreciate it!